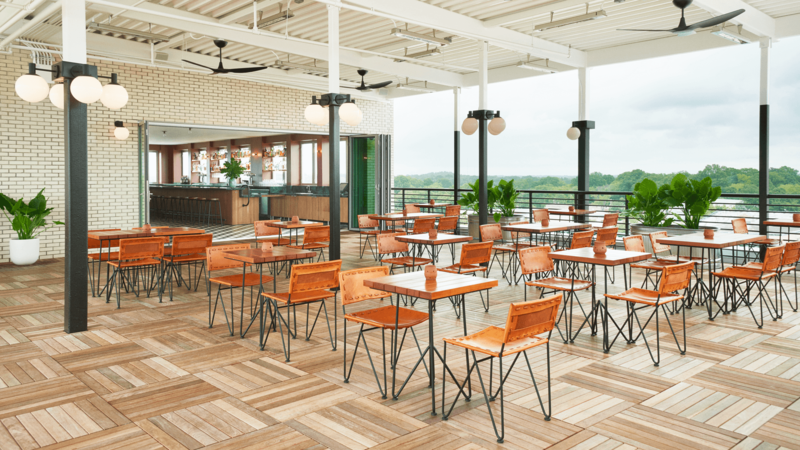 The Roof at The Durham is a year-round gathering spot for guests and locals alike, offering one-of-a-kind panoramic views of the city. 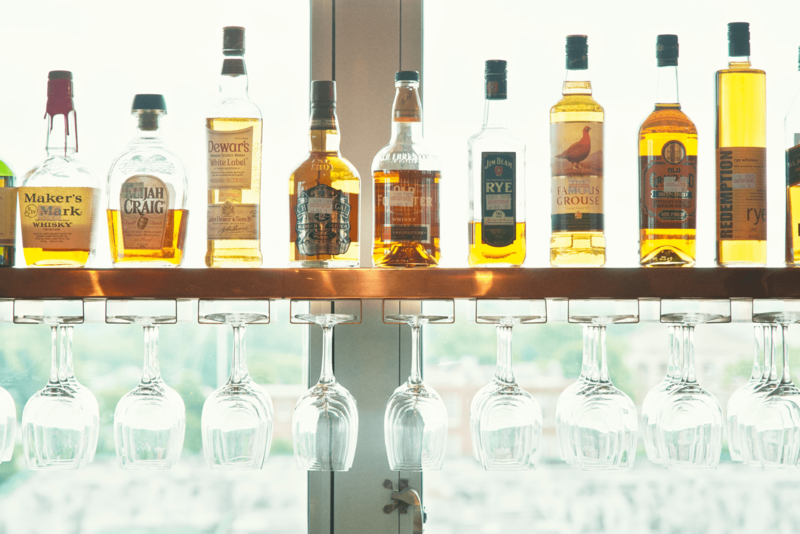 Here you will find original, handcrafted cocktails, extensive wine and beer offerings and a seasonal raw bar and small kitchen menu. Perfect for intimate gatherings and large groups, the breezy 3,000 sq ft. layout features an indoor bar, covered and open-air lounge seating, as well as a penthouse with its own patio for private parties. The hotel also hosts its own calendar of events, making the rooftop the perfect destination every night of the week. 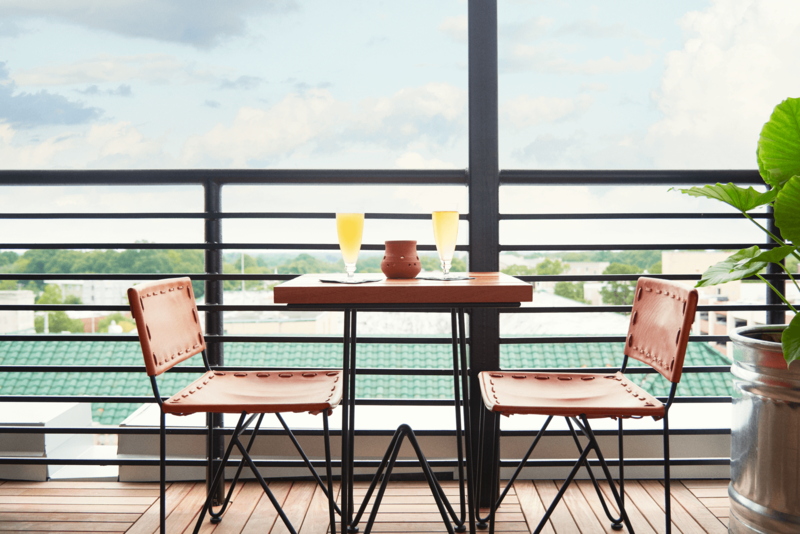 To inquire about rooftop events and private dining at The Durham Hotel, email restaurant@thedurham.com. Sundays on the roof are a daytime party with something for everyone. 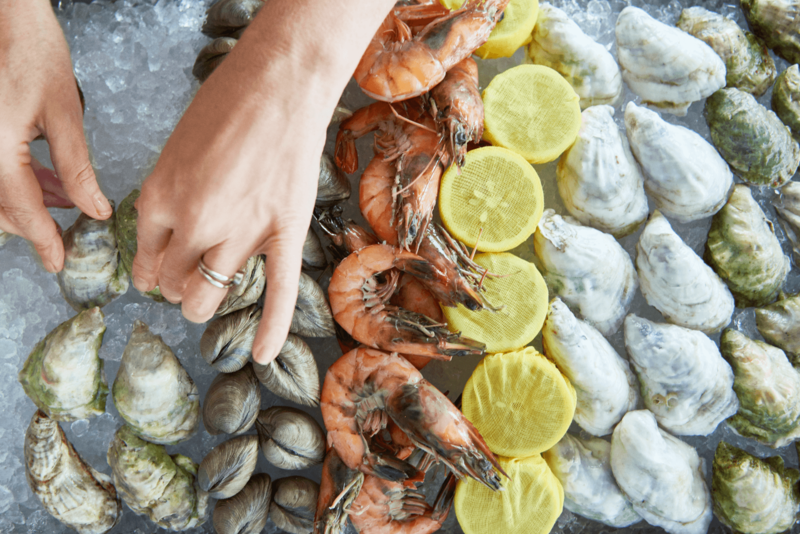 Think Bloody Mary’s, coffee sodas, spritzers and bubbles for kids, plus NC oysters and shrimp cocktails, homemade biscuits with fried White Oak Pastures Chicken, and more. Reservations for parties of 6 or more can be made for sections of our open-air lounge seating by calling 919-768-8831. Start your day with Rooftop Vinyasa Yoga classes from LaVita Yoga. Free to hotel guests or $10 special summer drop-in fee for locals. Complementary infused water and towels included. All levels welcome!